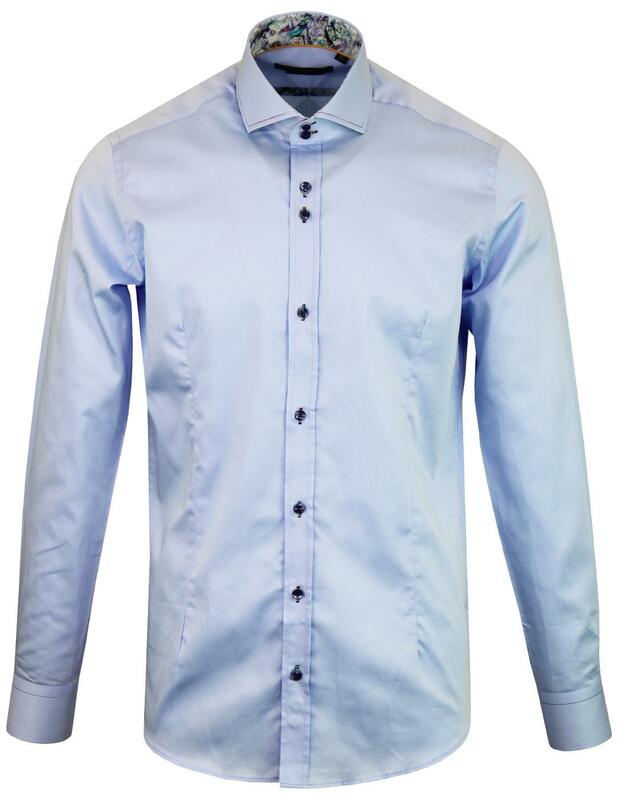 Guide London men's 1960s mod Rainbow stitch smart shirt in sky blue. 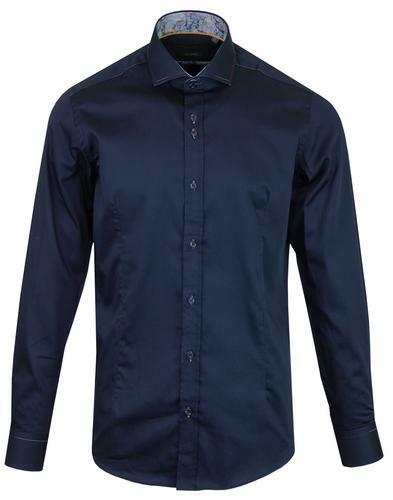 This men's smart dress shirt features a stylish rainbow stitch detail to the collar and shoulders as well as neat contrast stitch to the button holes. 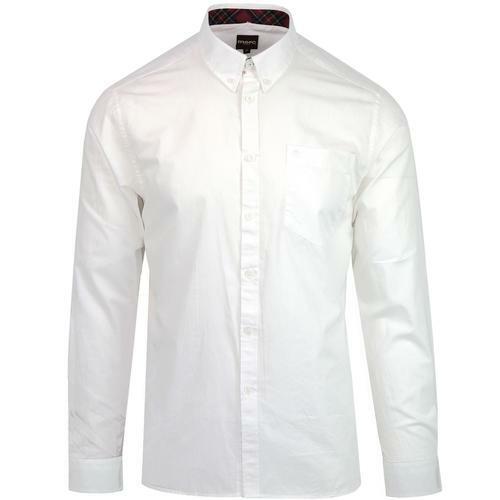 The inner collar is trimmed with a swirling abstract print. 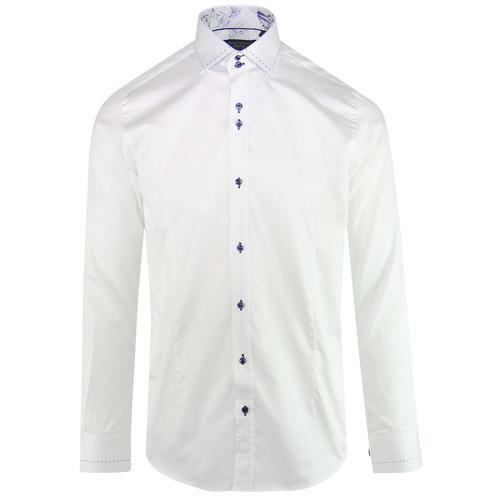 This Guide London men's retro rainbow stitch smart dress shirt is sure to add a distinctive finish to your mod suited and booted ensemble. - Guide London men's 1960s mod smart dress rainbow stitch shirt in sky. - Rainbow stitch to collar and shoulders. 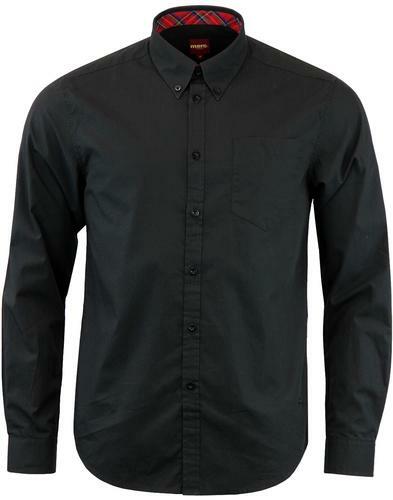 - Contrast stitching to button holes. - Trimmed with abstract multi colour print to inner collar. - SKU: LS74637 Rainbow Stitch Shirt.